And so concludes my fourth full year of writing non-competes.com. I've now written over 400 articles on this site. I strive to provide fresh, interesting commentary on a range of practical, legal, and economic issues relating to non-compete and trade secrets law. What was new to this site in 2012? Three major changes. First, while I had intended at the start of the year to provide everyone with a weekly "Reading List", I discovered Twitter along the way. I had long avoided Twitter, for fear that the last thing my life needed was one more informational tool. Boy, was I wrong about Twitter. This is where I am increasingly getting the best content, and I encourage my viewers to follow me on Twitter to see what I am reading and who I'm following. Second, I have started embedding files into certain posts, so that my readers can read and downloand important opinions or filings (such as the U.S. v. EBay, Inc. Complaint). I have a couple of bar journal (i.e., "old" media" publications) coming out in 2013 and look forward to sharing those files on this site as well. My year-end column is my favorite because it gives me an opportunity to look at what I've read and written about for the past 52 weeks and figure out what this year really was like in my corner of the legal universe. 10. New Hampshire Enacts "Notice Period" for Non-Competes. Effective July of 2012, New Hampshire state law now requires employers to give two weeks prior notice when an employer asks an employee to sign a non-compete or non-solicit agreement. The law is full of potential loopholes. My earlier post on this legislation is found here. 9. Texas Courts Largely Silent in 2012. The most active state supreme court on non-compete law over the past several years has been Texas. It has completely redefined the concept of acceptable consideration, an issue that befuddled courts and lawyers for a number of years. 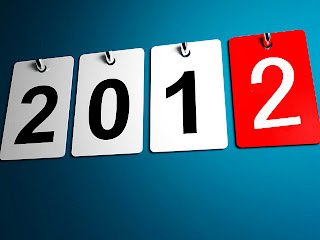 But 2012 was notable in one respect: not much happened. While I have written often about developments under Texas' Covenants Not to Compete Act, I only had one Texas-related post this year. 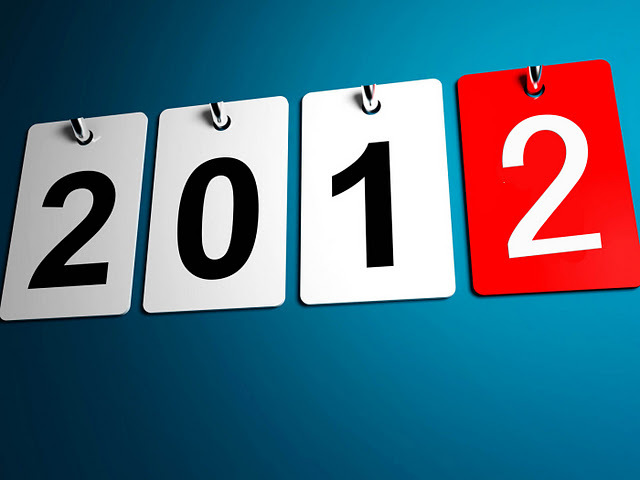 I am predicting 2013 to be a lot different. 8. New Jersey Enacts Uniform Trade Secrets Act. At the beginning of 2012, New Jersey became the latest state to adopt a version of the UTSA. The Act is only slightly different than what most states have enacted, and it provides a broader set of remedies for employers looking to combat trade secret theft. At this point, only Texas, Massachusetts, and New York have yet to enact the UTSA. My earlier post on this legislation is found here. 7. Sergei Aleynikov's Wild Journey Continues. Many of us in the blogging community have written extensively about the travails of one Sergei Aleynikov, the ex-Goldman Sachs trader who misappropriated GS's trading source code before departing for Teza Technologies. Aleynikov's legal journey has taken him to: the Illinois Appellate Court, a conviction in New York federal court under the Economic Espionage Act, a reversal by the Second Circuit, subsequent state law criminal charges (for which he's pled not guilty), and a federal civil case in New Jersey against Goldman Sachs in which he has sought indemnification for all of his legal fees - which he just might win. Oh, and in the meantime, he's almost single-handedly responsible for getting Congress to pass the Theft of Trade Secrets Clarification Act that will effectively prevent another result like that in his Second Circuit case from occurring in the future. 6. Illinois Appellate Courts Active in Wake of Reliable Fire. I have written throughout the year about what has occurred in my home state - Illinois - since the Supreme Court's important decision last Fall in Reliable Fire Equipment v. Arredondo. Unfortunately, the results have been mixed at best. The judgments from our appellate court have been published as "non-binding" orders and seem to have conflated and confused what Reliable Fire really meant. This lack of clarity does not serve clients or lawyers well at all. 5. The Loparex Disaster. This is Aleynikov-lite. His joyride through the legal system may be somewhat of an aberration (and for that reason, his ranking on my year-end list is lower). But the nightmare litigation of Loparex, LLC v. MPI Release Technologies, LLC is a stark reminder of a trade secrets suit gone horribly wrong. The suit started in federal district court in Illinois, where Loparex took a dismissal when the court (Judge Lefkow) told Loparex it was not identifying its trade secrets correctly. Loparex then refiled in Indiana federal district court and lost the suit on the merits, along with a bad-faith sanctions award against it and its lawyer to the tune of nearly $500,000. The basis for the award: failure to even identify a misappropriated trade secret, and the complete lack of damages. And along the way, the suit made a detour to the Supreme Court of Indiana, which reversed a decades-old line of cases discussing Indiana's Blacklisting statute. Ultimately, that pro-plaintiff ruling did not impact the defendants' ability to obtain fees given the frivolous nature of the suit. 4. DuPont's Judgment Against Kolon Industries. In one the most important trade secrets cases to go to jury verdict in recent memory, E.I. DuPont prevailed in its claim against Kolon Industries to the tune of over $1 billion in compensatory and punitive damages and a 30-year permanent injunction. The technology related to DuPont's trade secrets - 149 of them - related to the manufacture of Kevlar. My colleague, John Marsh, has written extensively about this case on his blog. 3. The Computer Fraud and Abuse Act Circuit Split Deepens. We had two important decisions this year under my least favorite statute, the Computer Fraud and Abuse Act. In U.S. v. Nosal, the Ninth Circuit limited a CFAA claim premised on an employee who "exceeds authorized access" of a protected computer to "access", not "use." And in the Fourth Circuit, the court followed Nosal and took a narrow view of the CFAA, widening an already deep circuit split. In that case, WEC Carolina Energy Solutions v. Miller, the plaintiff has filed a cert petition in the U.S. Supreme Court to resolve the split among the circuits. Will the Court take the case? It might, and this will be an interesting case to follow in 2013. 2. The Ohio Supreme Court Decides Two Important Competition Cases. The Ohio Supreme Court's decisions in American Chemical Society v. Leadscope and Acordia of Ohio v. Fishel were vitally important. In Leadscope, the Court held that malicious litigation can support a common law unfair competition claim. In the process, it upheld a $26.5 million verdict in favor of Leadscope, another result demonstrating that the court (mis)use of legal process can redound very badly to plaintiffs who underestimate how aggressive of a defense their adversaries will muster. In Fishel, the Court reversed itself and held that non-compete contracts are automatically assignable in the course of statutory mergers. The Court had held in an earlier opinion in the same case that the plain language of covenants concerning assignability would control over statutory law. 1. Supreme Court Rules on Scope of Arbitration Clauses. And in the year's most talked-about non-compete case, the Supreme Court of the United States reversed a decision of the Oklahoma Supreme Court and held that an arbitrator, not a state court, must determine the enforceability of a non-compete agreement if the underlying contract contains an arbitration clause. The case leaves open the possibility that an employee can still petition a court to determine that the underlying arbitration clause is invalid. My discussion of Nitro-Lift Techs. v. Howard is found here. So that's 2012 for ya'. Thanks again to all my readers for the great feedback and to my fellow blogging colleagues. I'll be back in a few days to start Year 5!